All stores silently sell to their customers. 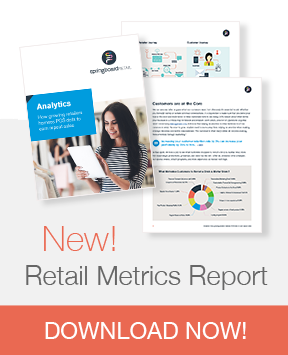 From image to merchandise value, how a store looks and feels greatly affects customer perception. A store that sells prestige exudes an aura of exclusivity through several elements such as rich carpeting, luxurious furnishings and spacious display areas. A value-oriented store on the other hand will use different lighting, a tighter store layout and higher merchandise intensity to communicate their product value to customers. While silent selling can effectively convey a store’s identity, it can also be used to multiple sell and boost UPT. This is an efficient and inexpensive way to increase your sales per customer by augmenting your active selling efforts. With higher labour costs, increasing numbers of retailers turn to silent selling to maximize sales opportunities. Begin with a layout that invites customers to shop the entire store. Navigate your traffic paths and check for hindrances that impede a smooth flow. Follow this with an analysis of your merchandise categories. Are they sequenced logically as a customer progresses into the store? For example, in a home accessory store, will bath accessories perform better when immediately adjacent to the dinnerware category or beddings? Your goal is to create symbiosis between the category and the next. Once your merchandise layout is completed, the next step is to bring silent selling into each display unit. Here, strategic product placement plays a crucial role in ensuring that your customers leave with three purchases instead of one. For example, clothing stores use their 4-way racks to house coordinating jackets, pants, skirts and a blouse. Grocery stores are also tapping into the power of silent selling. The chip aisle housing tortilla chips have the dips adjacent to the display, and conveniently hanging from a strip are chip clips. The use of this strategy is limitless and the products that benefit this from are endless. Left: Customers are enticed to buy not only books on relaxation, but also accessories that complete the experience at this Chapters Bookstore. Middle: MaryAnn ensures that customers view all coordinating pieces that complete the Esprit look. Right: An accessories shop displays this wallet and cosmetic case with the coordinating bag to encourage multiple purchases. Left: Yoga tapes immediately adjacent to watch straps fall short of silently multi-selling between categories. Wouldn’t the yoga tapes spinner do better placed with yoga mats and other sporting goods? Middle: A row of only tops and a 4-way rack of all bottoms fail to coordinate pieces together. Both products would perform better if merchandised together to create a finished look. Right: Don’t you think this food display can easily multiple sell if drinks were merchandised with it? Try this in your own store. Take a before and after photo of a unit you’ve done and send it in. I’d love to hear how you’ve implemented silent selling strategies with your business! 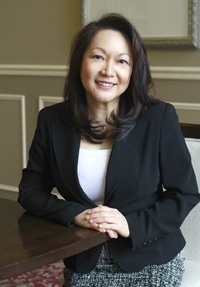 Retail consultant Natalie Tan provides clients with the tools to excel in their business. Over 25 years in specialty retailing has provided Natalie with the expertise to offer innovative strategies to shopping centers, retail shops and airport operators in maximizing their revenues. Natalie has been an instructor at the BCIT School of Business since 2004 and currently teaches Retail Merchandising and Display Strategies at the BCIT School of Business. She is the author of “Ready, Set, Sell,” an easy to implement guide to small business owners. 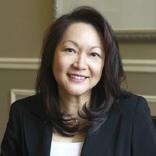 She has served as a member of Retail BC’s Board of Directors and the board of BC Shopping Centres Association. Learn more about Natalie here and follow her on Twitter at @retailxcellence.